The video team we have here at Hoffman Media is truly spectacular. You’ve already seen some of our step-by-step flower arranging, jewelry, and baking videos, but now we have a whole library full! 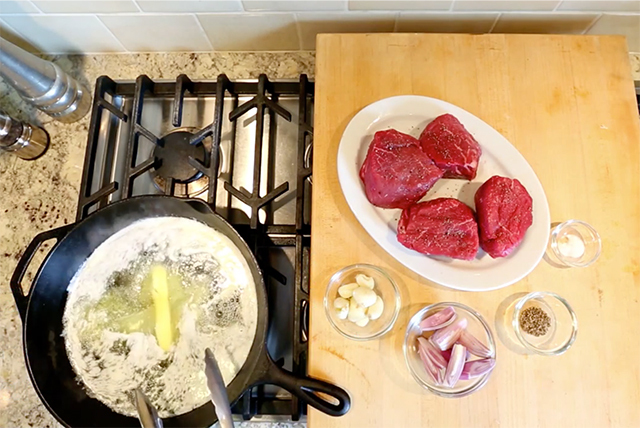 Whether you’re a novice home cook or a seasoned pro, our Step One video series has something for you. Learning a new technique is so exciting, my hope is that you’ll want to pass along the easy-to-follow (and short!) tips. I know I did when I learned how to make the perfect poached egg. I’ll admit, I’d never tried making one until this series! I had no idea how easy it is. Watch an introduction to the series below, share this series with your loved ones, and please let me know what other videos you’d like to see! Love the new videos! Thank you! Chicken fried steak is a favorite and this recipe differs a bit from my family one, but it looks delicious. I am looking forward to more videos! These are perfect little videos with simple instructions. Do you have one on roasting a chicken…I’m intimidated by the trussing, seasoning etc.Any help would be most appreciated. Thanks again Phyllis.